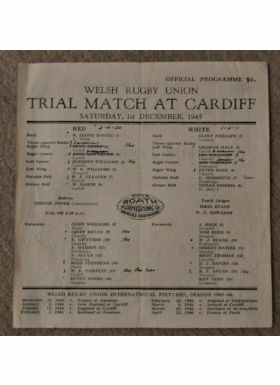 1945 WRU Trial Rugby Match Programme: Single flimsy post-war sheet with folds but remarkably good for age and showing the trial teams at Cardiff, Reds bt Whites 20-11. 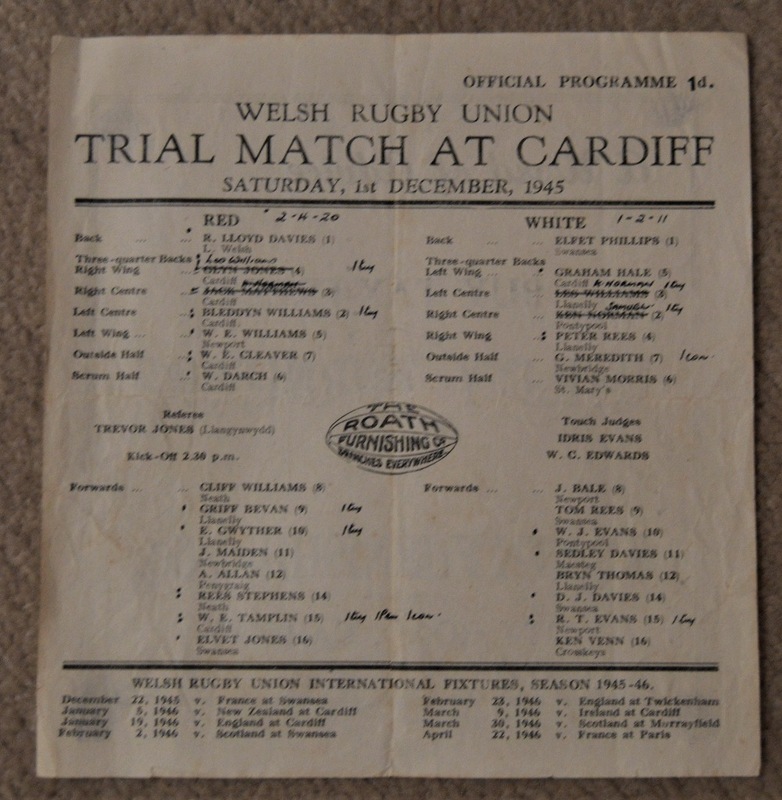 Bleddyn Williams, Billy Cleaver, Rees Stephens Bill Tamplin, R T Evans etc on show. Very neat scorers and team changes marked. G.